A great financial plan might begin with an individual or a couple, but it doesn’t end there. A great financial plan also takes into account a spouse, children, grandchildren or anyone else that might be included in your legacy. Currently, we are in the midst of the greatest wealth transfer in our history. Over the next 30 to 40 years, the baby boomers will pass some $30 trillion in assets to their heirs. For these aging boomers, as well as those from other generations looking to pass on their wealth, this is a critical time, with critical decisions to make. Let’s take a look at what you can do to provide for those you care about the most. First and foremost, you need to communicate. Transferring wealth can seem like a daunting challenge if you don’t have a plan in place. During the planning process, you will face a number of questions, including: What and where are my assets? How do I want to distribute them? What will go to my beneficiaries and what will go to charities or other philanthropic organizations? As you begin your discovery phase of how to answer those questions, you will want to involve your loved ones. You can either include them in meetings with financial professionals and estate attorneys or keep them apprised of your plans for your estate. If you are wavering on whether or not to include family members in these meetings, think about it this way: A professional can help answer questions, facilitate the meeting, and keep the discussion on task and goal-oriented. I’ve found that communicating your intentions also serves a second, vital purpose—it cuts down on any confusion or infighting over assets by the beneficiaries down the road. Let’s take a look at some of the options available to you. Since 2014, the annual gift tax exclusion stands at $14,000. Under this rule, you can give up to $14,000 each year to as many heirs as you wish. Married couples can gift as much as $28,000 annually to their heirs. This is a great strategy for multigenerational wealth transfer and can result in a large amount over time. Consider, for instance, maxing out that gift over 20 years: $28,000 x 20 = $560,000. In that scenario, you’d be able to gift more than half a million dollars to an heir without them having to pay a penny in taxes. Life insurance is another great way to transfer wealth. These policies offer tax-free benefits to your beneficiaries, and, in some cases, may cover your estate taxes as well. Review your policies with a financial professional to find out what options are available to you and your beneficiaries. Having a trust in place can help you prevent legal issues or challenges to your estate. A trust will also allow you to minimize tax liability and offers control over the distributions you plan to make. An IRA is a great way for you to grow wealth; if you turn it into a stretch IRA, it can serve as a great way to transfer that wealth. The process is simple: Designate a beneficiary who is significantly younger than the account owner. That beneficiary could be a spouse in cases where there’s a large age difference, but is more often a child or grandchild. By using this strategy, the IRA can pass from generation to generation on a tax-deferred or even a tax-free basis while experiencing compounding growth. It’s important to note that not all IRAs allow the stretch strategy. In fact, I’ve talked with many people who believe they have a stretch IRA when in fact their IRA is a traditional one. Remember, you’ve worked hard to grow you retirement assets. You don’t want all that effort wasted by not planning your legacy. By working with financial professionals and communicating with your beneficiaries, you’ll be able to develop the strategy that works best for you—a strategy that maximizes your wealth transfer and limits the taxes on your estate. Jennifer Landon, founder and president of Journey Financial Services, is an accomplished advisor, educator and presenter on financial topics. Landon has spent the last decade advising Idaho Falls residents on the wealth and retirement planning strategies needed to help them achieve peace of mind on their retirement journey. She is an Investment Advisor Representative and a licensed life and health insurance professional in the state of Idaho. Landon is a member of Ed Slott’s Master Elite IRA Advisor Group, the National Ethics Association (NEA) and the Better Business Bureau. 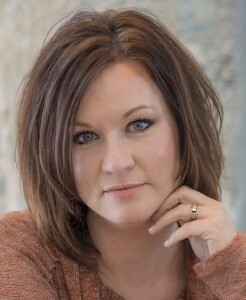 For more information about Jennifer Landon and Journey Financial Services, please call (208) 552-9169 or visit www.JourneyRetirement.com. Jennifer Landon is an Investment Advisor Representative with Allegis Investment Advisors LLC, an SEC Registered Investment Advisor. 591 Park Avenue ste.101 Idaho Falls, ID 83402.